Sky NewsNatasha Ednan-Laperouse’s brother and parents. 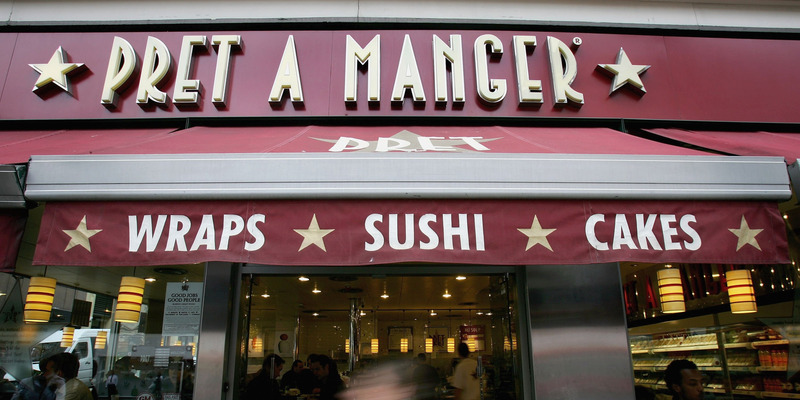 Pret A Manger will start labelling all ingredients and allergens on its products from next month onwards. The decision comes after 15-year-old Natasha Ednan-Laperouse died from an allergic reaction to sesame after eating the chain’s baguette sandwich which didn’t list sesame as an ingredient. Pret A Manger now wants to make it as difficult as possible for people with allergies to not see the warning signs, Business Insider understands. Prime Minister Theresa May also said she would look into UK food-labelling regulations as well as “the responsibility of individual companies” in light of the death. Pret A Manger is completely changing the way it labels its food allergens after a 15-year-old died after eating a sandwich that didn’t label her allergens. Natasha Ednan-Laperouse died in 2016 after eating the chain’s baguette sandwich with artichoke, olive, and tapenade. 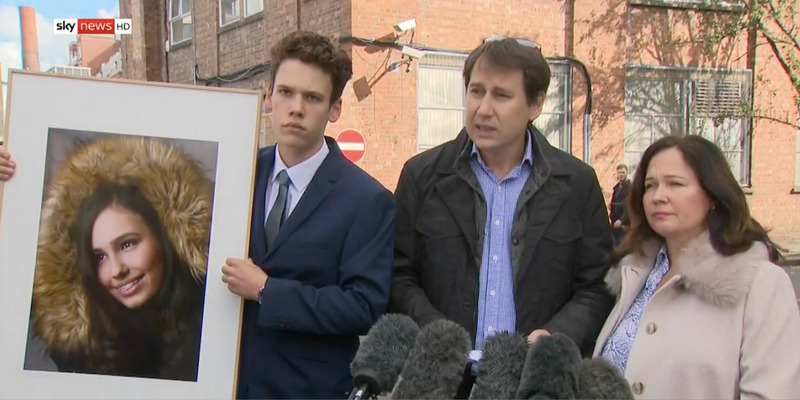 The baguette contained sesame seeds – to which the teen was allergic – but it was not specifically labelled on the sandwich’s packaging, an inquest in the UK heard last week. She bought the sandwich at London Heathrow Airport before flying to Nice, France, and collapsed about 20 minutes into the flight, went into cardiac arrest, and died of an anaphylactic shock within hours. Pret A Manger announced on Wednesday that it would label all its ingredients, including allergens, on all its products in the UK. The announcement follows the conclusion of Ednan-Laperouse’s inquest, Pret A Manger said in a statement sent to Business Insider. Business Insider understands that the chain plans to roll out full ingredient labelling on product packaging worldwide, starting with the UK. The chains will be rolled out in British shops from November onward, Pret A Manger said in its Wednesday statement. Over the next few weeks, it also plans to place allergen warning stickers on all individual freshly made products, display allergen warning signs in shops, and list a full ingredient information, including allergens, online and in shops, the company said. The company’s goal is to make make it as difficult as possible for people with allergies to not see the warning signs, Business Insider understands. At the time of Ednan-Laperouse’s death, Pret A Manger had a guide detailing allergens in its foods posted in its shops and on its website, but not on product-shelf tickets, Business Insider also understands. The chain had signs on fridges and at registers advising customers to speak to a manager to see the allergen guide. UK food-labelling regulations do not require restaurants that make and package food onsite, like Pret A Manger, to label allergen information on each individual product, the BBC reported. Prime Minister Theresa May on Tuesday said she would “look at” rehauling food-labelling regulations in the UK in light of Ednan-Laperouse’s death. She told the BBC: “This was an absolutely tragic case and our thoughts are with [Natasha’s] family and friends over what happened. 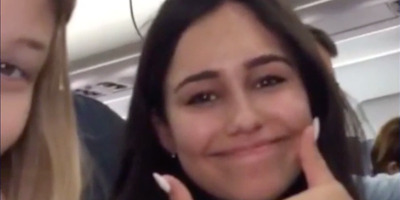 The TelegraphA screengrab of Natasha Ednan-Laperouse on the flight to Nice, France, shortly before she died of an allergic reaction. The inquest also heard that Pret A Manger was warned at least six times that its baguettes could cause allergic reactions in the year before Ednan-Laperouse’s death. Ednan-Laperouse’s father, Nadim, said his daughter foamed at the mouth and said she couldn’t breathe. Those symptoms persisted after he administered two EpiPen shots to his daughter and a doctor administered CPR to her throughout the flight, he said. Ednan-Laperouse’s mother, Tanya, also described listening to her daughter’s final moments over the phone. “I want to say again how deeply sorry we are for the loss of Natasha. I said we would learn from this tragedy and ensure meaningful changes happen.